An Garda Síochána is appealing to motorists to park smart as new figures show that one-third of all vehicles broken into in residential areas had been left unlocked by the owner. Figures from the Garda Analysis Service released today show that 8,571 vehicles parked at residential locations were broken into between 2015 and 2017. Of those, 2,824 were reported to be unlocked. The analysis also shows that the most common location for these thefts was in driveways, and that half of the thefts occurred between 12midnight and 7am. Such thefts are happening throughout the country. On average, over €340,000 worth of property was stolen from vehicles each year. Property stolen included cash, laptops, tools, sunglasses, jewellery and sports equipment. Sgt Kelvin Courtney from the Garda Crime Prevention National Centre of Excellence said, “Wherever you park your car or van, we would always advise you to take your property with you and ensure the vehicle is locked, alarmed and parked in a secure, well-lit location. “Many of these thefts, particularly at residential locations, are avoidable with an average of 33% of vehicles being left unlocked in the last three years. Unfortunately, this poor practice has risen as 38% of vehicles were unlocked when they had property stolen from them in January 2018. We’ve even seen cases where two vehicles from the same household were unlocked and broken into. 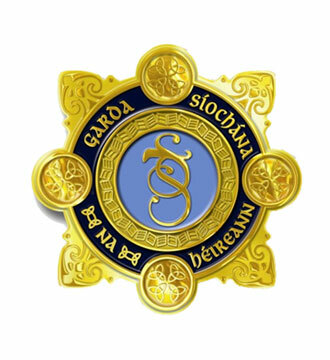 According to the Garda Stolen Motor Vehicle Investigation Unit, the vast majority of cars illegally entered or stolen from are done so using the vehicle’s key. The vast majority of vehicles stolen continue to be taken with keys obtained in burglaries. An Garda Síochána’s advice surrounding any vehicle keys would always be to avoid leaving them on the hall table or near a door/window where they could be easily taken.